The Belectric brand is to be taken over by innogy SE, the renewable energy subsidiary of German utility RWE, after a deal was agreed for the company’s solar, battery and O&M businesses. However, she was able to confirm that the entire Belectric brand is to be purchased, with innogy SE looking to add the company’s solar and battery business to its own renewable energy operations. “For us at innogy, we have a good track record and proven knowledge and expertise in renewables regarding onshore and offshore wind and also hydro power. Regarding utility scale PV power plants, which we see as an important growth area in renewables in the coming years, we are not that strong so thanks to the acquisition of Belectric Solar and Battery we will get a lot of know-how on board and innogy will become an international player in this business area,” she said. Belectric Solar and Battery is engaged in the design, installation, operation and maintenance of utility-scale photovoltaic plants, as well as the development of large scale battery storage systems. All of this will be taken over with the remainder of Belectric Holding to be renamed. Belectric has built more than 280 utility-scale photovoltaic plants and roof-top systems with a total installed capacity of more than 1.5 gigawatts peak (GWp). 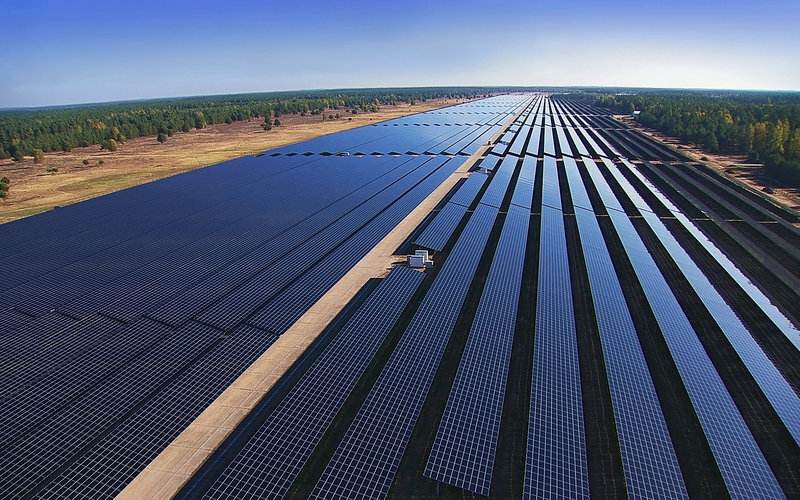 In addition, the company is responsible for the operation and maintenance of 1GWp of solar plants, with this business particularly important for innogy when acquiring the company, as this is a considered to be a very important segment of the business. Peter Terium, chief executive officer of RWE AG and innogy SE, said: “With innogy we are creating the innovative, decentralised and sustainable energy company of the future. The agreed acquisition of Belectric Solar & Battery fits this strategic orientation perfectly. Hans Bünting, chief operating officer Renewables of innogy SE, added: “In acquiring Belectric, we are bolstering our skills in the area of renewables and acquiring extensive expertise as well as many years of operational experience with solar technology. The experienced team at Belectric will contribute to taking innogy forward with large-scale solar projects. According to Solar Media’s head of market research Finley Colville, Belectric was the first to deploy its EPC resource in the Uk when it entered the market in 2010. It was also trailblazing in promoting the community shared ownership schemes through its Big60Million arm, which offered investors the UK’s first certified Climate Bond. However, its activity scale of activity has fallen in the last year following the UK government’s announcement that solar subsidies would be cut, as Colville explains. “Following the now-infamous 22 July 2015 announcement from the former Department of Energy and Climate Change to limit the scope of remaining RO accreditation under 1.3 and 1.2ROC solar farms, Belectric largely retreated from the UK ground-mount sector, selling off various shovel-ready sites that would have previously seen the company take through EPC and grid-connection stages before selling to a third-party asset holder. He added that Belectric were also largely responsible for bringing module supplier First Solar to the market. “Belectric’s most significant contribution to UK solar will be its route-to-market for First Solar, the leading module suppliers in the solar industry outside China, and the sole proponent of thin-film panels based on Cadmium Telluride (CdTe) technology,” Colville said. “First Solar appears to have made an early decision not to enter the UK market from a local project development standpoint, in contrast to how the company has typically done large-scale ground-mount project development globally. It therefore was fully dependent on its sole advocate of panel deployment in the UK (Belectric) in order to get any meaningful deployment during the 12GW solar PV installed in the UK since 2010.